Finally, after all these years, we have found the time to gather our most worthy songs into a best of compilation, representative of our career’s first 25 years. From the very beginning it was important for us to undertake this project only if we could put the necessary time and attention to detail into it. With overwhelming nostalgia we have looked back on 25 years and came up with Memories of a Time to Come, an organic mixture of some of our greatest songs. With the exception of “Sacred Worlds”, all songs on Memories of a Time to Come have been remixed while “The Bard’s Song – The Hobbit”, “Valhalla” as well as “And Then There Was Silence” have been re-recorded. 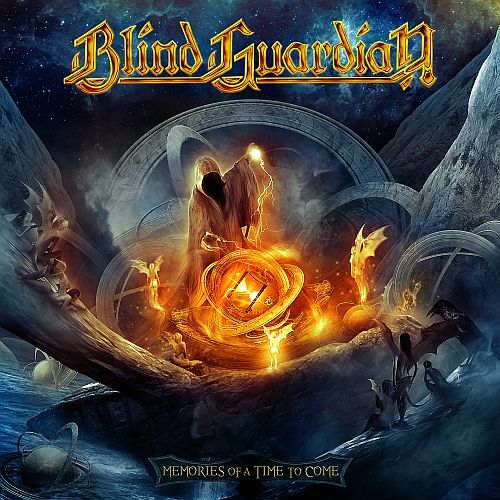 This album contains some very pleasant surprises for the die-hard Blind Guardian fan and delivers a perfect image of our musical spirit to those who are not, or just loosely, familiar with the band. Memories of a Time to Come precisely defines our progression and the long-standing dedication to our music. We are proud to present an album that will take the listener on a musical voyage. This year’s Christmas will be in January! Memories of a Time to Come, the ultimate collection of Blind Guardian music from 1987 to 2011, will be released on January 20, 2012 via Virgin/EMI. It will be available as a double CD, 3 CD deluxe limited edition including the legendary Lucifer’s Heritage demos and as download.